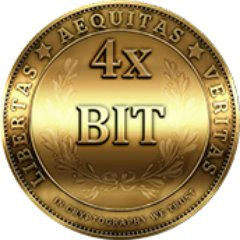 "MyBtcFx recognizes itself as a 4xBit Cryptocurrency that creates a robust platform to execute endless transaction & trading possibilities for this crypto money. One of the unique solutions provided by MyBtcFx protects and safeguards transaction by allowing no-trace payment and receipt technology. A safe haven for passive investors looking for quick investments that can lead you to double ROI in no time- MyBtcFx is the new alternate cryptocurrency that has taken the market by surprise. Enjoy unlimited transactions with no trace technology, 360 security systems and high coverage network for limitless trading. The second phase of our ICO initiation has already started on 10th November 2017 and is expected to continue till the 18th July 2018 taking in an estimated sale of 20,000,000 4XBit over a span of 35 days."